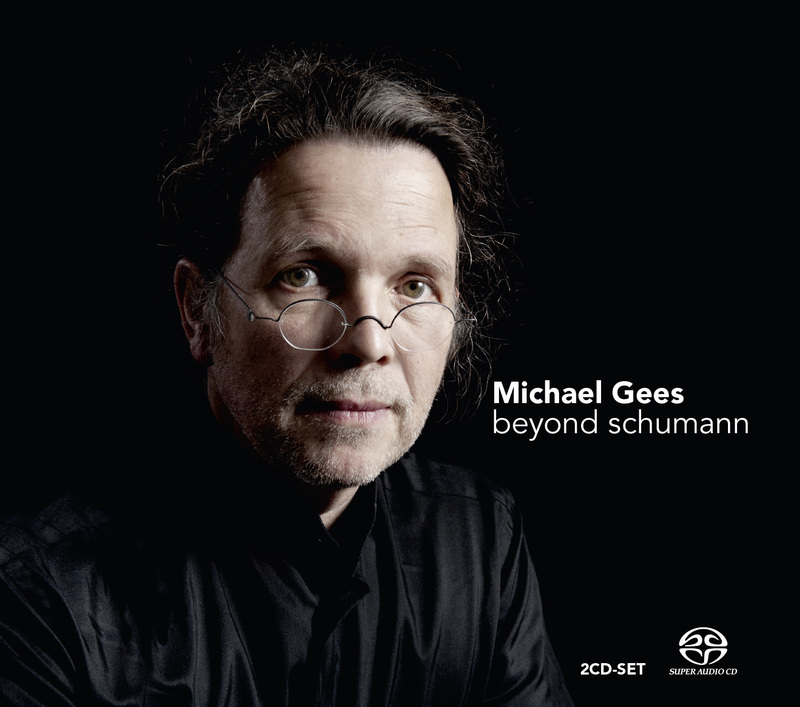 Beyond Schumann is the second solo album of Michael Gees. He thinks of a composition as a living creature. Something very unusual in classical music, where everything that is written down has become holy and sacred, not to be touched or changed at all. However, Gees does that with the utmost respect for the compositions. In his new album Beyond Schumann, Gees goes beyond the work of Schumann and gives us a new and fresh way of looking at them. This new album (SACD) will be released on May 8th during a concert in Maasmechelen (Belgium). In Schumann's day and age improvisation on original compositions the norm. Embellishments were not always written down in detail. These days, jazz music is usually improvisational, but this is normally inappropriate in classical music. Michael Gees does not agree and does it his way, without disrespecting the original compositions. He chooses music he loves dearly, starts playing and sees what happens. The musical ideas that started with Schumann now, transform through Michael Gees' hands on the piano. They are improvised on and feel totally new and refreshed. Gees is a real pioneer in this field and he dares to take this up, this big taboo in classical music. We say praise to him for doing so. After his first solo project called 'ImproviSatie'- with improvisations on works by Satie - Gees now picks up works by Schumann and goes beyond this famous composer and gives us a new way of looking at them. 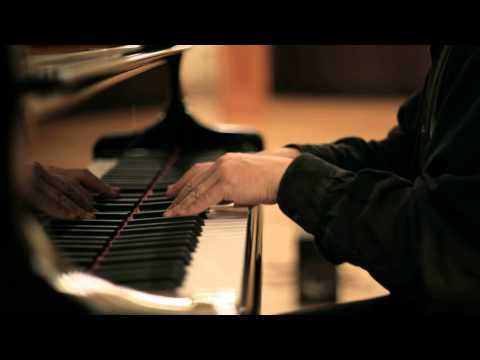 Michael Gees is a acclaimed pianist and composer/improviser. He is very well-known for his duo-partnership with Christoph Prégardien. Together they were rewarded with the MIDEM Vocal Award 2009, the MIDEM Record of the Year Award 2009, and a Supersonic Award by the Luxembourgian Pizzicato Magazine for Die Schöne Müllerin of Franz Schubert on Challenge Classics. A grammy nomination for Winterreise by Prégardien & Gees! Winterreise on Bluray the best classical music recording ever produced outside of Japan! Winterreise by Christoph Prégardien and Michael Gees: an unforgettable presentation concert! Get tickets for the first Challenge Artists in Concert! 'Between Life and Death' is a winner! Pregardien and Gees receive two MIDEM Awards! ""Gees wants to return to the days when music yielded a unique experience, with pleasure. Whether he succeeded? You can judge for yourself but it is certain that it is incredibly exciting and communicative, with a great pianist and improviser. The beautiful piano sound does the rest ..""
""A very interesting composition in its own right, in which I hear the influence of, not German heirs to Schumann, but Bax""
"When I went back to Schumann’s unadorned originals after a day or two of Gees, I had the distinctly heretical feeling of missing something and I wished I had Gees’ music written down to play from. That misses the point of improvisation, of the inspiration of the moment, though after reading Gees’ notes, I feel encouraged to try my own improvisations. What do other classical pianists do with their own favourites in the privacy of their practice rooms, I wonder. " "The result is fascinating, opens adventuresome ways of listening and is a mixture of short detours and montain hiks from the original by Schumann. " "The framework of Schumann's compositions always stays maintained so that the exciting dialectic arises between the known and the unknown." "The German classical pianist Michael Gees lards Robert Schumann’s work with improvisations on his album ‘Beyond Schumann‘. So he moves in a way behind the compositions of this early 19th century composer." ""I feel like I have discovered new compositions of Schumann. The effect is that I wonder what Michael Gees' earlier released album is like""